Below, watch YouTube Red‘s new Escape the Night TV show premiere for free. 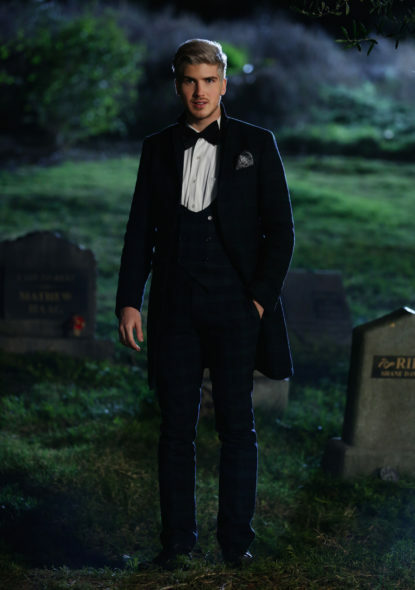 Escape the Night is hosted by YouTube star Joey Graceffa. In it, 10 guests are invited from the modern world to attend a dinner at his newly acquired mansion estate, which has been locked in the 1920s; when “America was roaring…roaring with madness.” YouTube Red promises: This is a dinner party to die for; no one is safe. 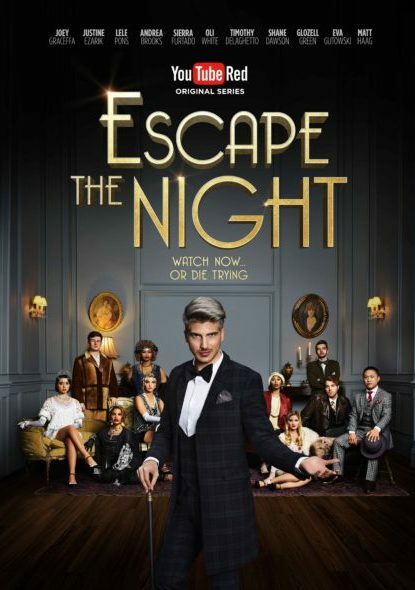 The Escape the Night TV series cast includes YouTubers and digitals stars: GloZell Green, Justing Ezarik (iJustine), Lele Pons, Shane Dawson, Eva Gutowski (MyLifeAsEva), Andrea Brooks (AndreasChoice), Timothy DeLaGhetto, Matt Haag (Nadeshot), Oli White (TheOliWhiteTV), and Sierra Furtado (SierraMarieMakeup). In celebration of today’s series premiere, watch the first episode for free, now. Go behind the scenes with Joey and the cast in an Escape the Night TV series featurette. You can watch the official Escape the Night TV show trailer, here. New episodes of Escape the Night premiere on Wednesdays, starting today, June 22, 2016, exclusively on YouTube Red. The Escape the Night TV series is part of YouTube Red Originals — featuring films and web series from today’s biggest YouTube stars. The show will stream exclusively on YouTube Red. YouTube Red is a paid YouTube subscription. With purchase, members get ad-free exclusive access to premium content. YouTube Red is available in the US. The service plans to expand internationally during 2016. US viewers should go to YouTube.com/Red, to find out more about a free one-month trial of the new, paid video streaming service. Outside of the US, consult this chart. If you’re going to VidCon 2016, join Joey Graceffa and friends for the official Escape the Night fan screening, tomorrow, Thursday, June 23, 2016 from 2-3pm PT in Hall C.
What do you think? Did you watch the Escape the Night TV series premiere episode? Will you subscribe to YouTube Red to watch the rest of the first season? Tell us.